Forms are available here to assist you in preparing your case for filing. 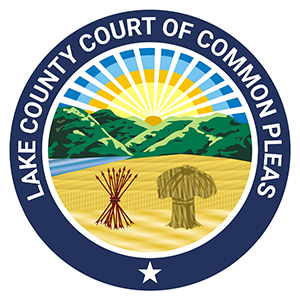 The Lake County Clerk of Courts maintains all docket information. For information about your case and for the Court records search by case number, click here for the online docket. If you are filing a petition for a Domestic Violence Civil Protection Order, click here for the Ohio Domestic Violence Forms, specifically Form 10.01-D. The Child Support Calculator from the Ohio Department of Job and Family Services may also assist you in preparing your case. Brochures about our Court Programs, as well as brochures about the Ohio court system and information about community resources are available below. More information is also available under Resources. As always, the Court recommends that you consult with an attorney to assist you in your case. The Lake County Bar Association can provide you with referrals for local family law attorneys. For the Lake County Bar Association, click here or call them at 440-350-5800. You may also contact Legal Aid to see if you qualify for their services. For the Legal Aid Society, click here or call them at 1-888-817-3777 for more information. All persons appearing before the Lake County Domestic Relations Court must follow the Local Rules of Practice and Procedure, available below. Please keep in mind that if you represent yourself, you will be held to the same standard as an attorney. The Court staff cannot assist you in filling out forms or provide legal advice. Please click here to read the Notice Regarding Court Employees Providing Legal Advice.